A creative gift for the wine lover or a personalized memento to mark life's special occasions. 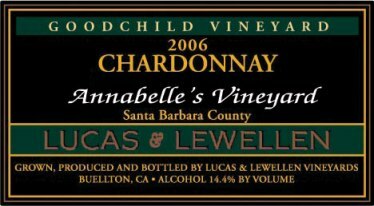 Choose from Lucas & Lewellen Chardonnay, Goodchild Vineyard or Lucas & Lewellen Cabernet Sauvignon, Valley View Vineyard. You must purchase a case of the corresponding wine in addition to the personalized label. We have a 12 label minimum on all custom label orders.